Goodbye My Princess 東宮 has ended and contrary to previous speculations that it might have two endings, the drama only had one and I have to say that it might have left more than a few viewers in tears. Were they happy tears or sad tears? Before I go on, spoiler alert! 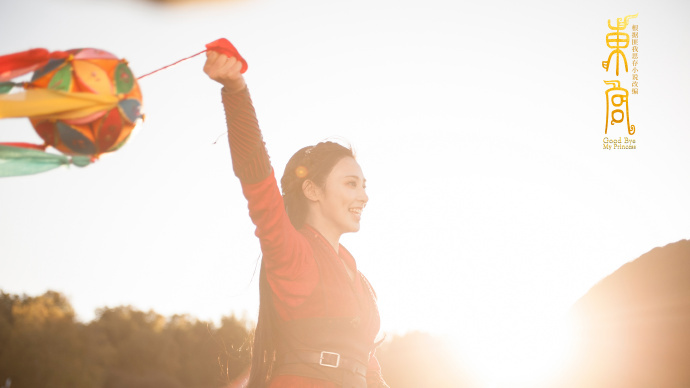 Before the final episode, Xiao Feng, played by Peng Xiaoran, already jumped off the city gates triggering the return of Li Chengyin's memories, played by Chen Xingxu. He coughs out a mouthful of blood from shock, faints and wakes up to the news that they are at war. 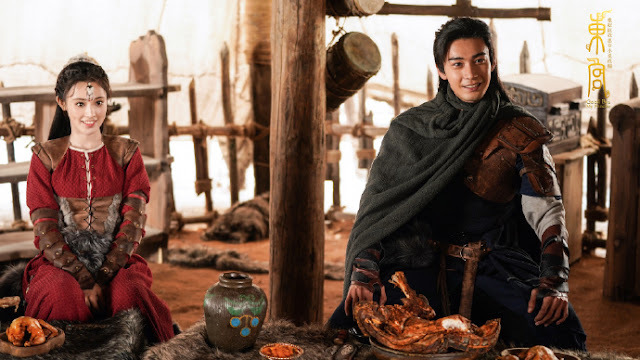 What really got to me were the show's final moments in the desert when Xiao Feng puts herself between the two armies, her brother on one side and her lover on the other. 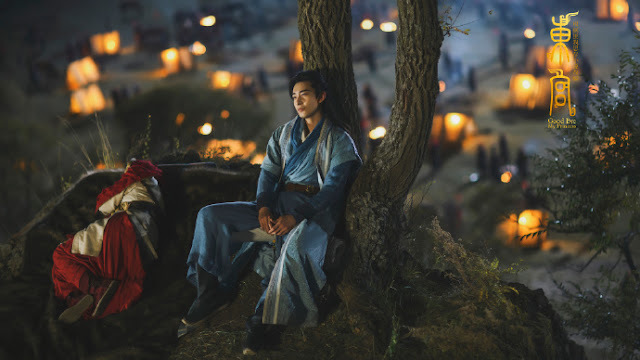 She pleads with the two of them for peace and calls Li Chengyin by the name Gu Xiaowu, finally admitting to him that he was the one and only man that she ever loved. With a sword held to her neck, she asks Li Chengyin to promise her to fulfill her two remaining wishes. One was that Li Chengyin's army would never set foot in Xizhou. He agrees while begging Xiao Feng to put the sword down. He says that if she were to die, he would die with her. She smiles and says that her second wish is for Li Chengyin to live well and having said that, she slits her own throat. Her death scene was a bit overly dramatic with blood spraying everywhere but somewhat forgivable as it certainly had emotions running high throughout the scene. 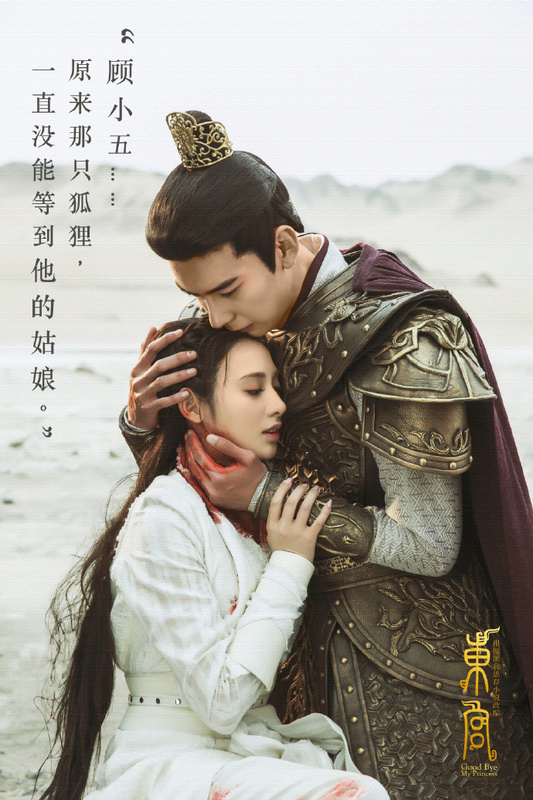 Chen Xingxu's portrayal was very, very convincing as he yelled in despair, wept and cried over her dead body while calling out her name. Someone was definitely cutting onions beside me as it was extremely hard not to cry along. After all the foul things Li Chengyin did to Xiao Feng, he still loved her dearly and it shines through at this particular moment. Seeing him suffer as he did almost made me want to forgive the guy for all the stuff he put her through. Chen Xingxu even lost his voice when he filmed this as he had to constantly shout for Xiao Feng and cry a lot. The actor shared that he really almost fainted for a moment as he could no longer breathe. He also had help from the crew and Peng Xiaoran to snap him out of character. Li Chengyin eventually becomes emperor, does not have any children and leads a lonely existence, perhaps as a way to atone for his mistakes. 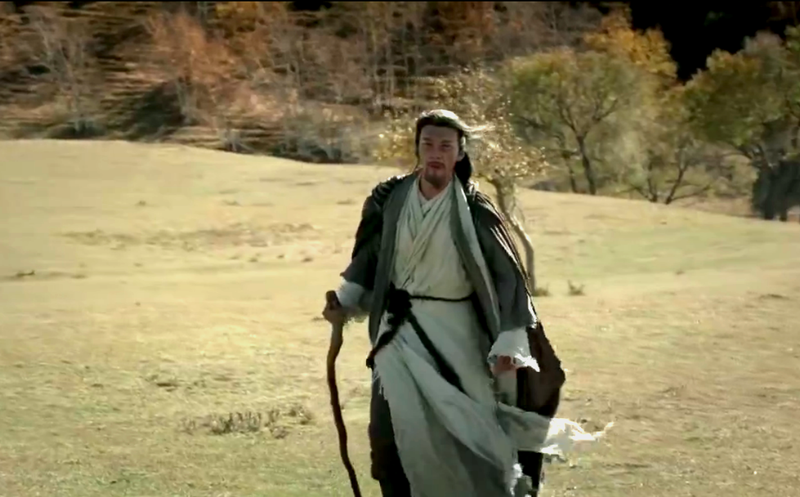 In the last scene, we see an old Li Chengyin, free from his royal obligations and realizing too late that what he what he had wanted all along was Xiao Feng. Now that she's gone, he traverses the desert alone, ready to be with her again. Goodbye My Princess is probably one of the best tragic dramas out there right now and despite the hiccups, it did not disappoint and certainly satisfied fans who wanted a bad ending. Chen Xingxu and Peng Xiaoran worked really well together. Extra points for Chen Xingxu as you can really tell he didn't just played Li Chengyin, at least for me, he WAS Li Chengyin. What did you guys think? Did the ending meet your expectations? Yeah me too! I’d rather have a bad ending as well. Open endings to me are just sloppy writing where the writer doesn’t know how to end it or they’re scared of the backlash if they ended the way the audience didn’t want. No matter what people say to try to change my mind open endings are dumb and a waste of time. You spent your time reading or watching show/book, getting emotionally invested only for it to end with no questions answered. Dumb af. I really enjoyed this drama, and I think the sad ending is appropriate given everything that happened between out two leads. I can't imagine how they would have weaved a "happy ending" into the story. I never expected a happy ending, and I'm still only to episode 44, knowing what's coming. What I have never understood is why all the hate dumped on Li Chengyin? Yes, he used her to infiltrate the Danchi and killed her grandfather (after making a deal with him and even allowing him a death ritual). But it's not like the Danchi were some peace-loving people and they were at war. Other than that, what did he do that was so wrong? Played a role to protect her from certain palace intrigues? Lied to her about his revenge efforts? But didn't Gu Jian mislead her as well? He did worse- tried to put himself in LCY's place while betraying the Gu and Chen cause. Yet he gets a pass. Even beloved A'Du deceived XF. I don't mind XF killing herself to stop a war. I did mind the unfair treatment of LCY. I agree with you. I feel like everyone just ignored that Gu Jian deceived and used Xiao Feng as well. Sure, he was kind to her, but that's because he doesn't have the same political worries that Li ChengYin does. And, like you said, he pretended to be someone he wasn't. He's just as bad, in my opinion, and equally as selfish. I'm not saying Li ChengYin was a great character, either, because he definitely mistreated Xiao Feng, but neither is Gu Jian. Agreed. I think people who blindly hate on LCY most likely skipped out the political parts. They did not fully understand all the reasons behind everything that LCY did. LCY's mistake was trusting his cousin, GJ. And yes, GJ is no less despicable and selfish. The story came to a bad ending because XF could not put the greater good - peace between the 2 nations above herself - only until the end did she realize the cause of hers selfishness for returning to Xizhou had encouraged her brother to rage war against Li Dynasty. In the end, she sacrificed her life to stop the war. There could have been another choice; to follow the foot steps of Princess Ming Yuan by staying in Li Dynasty as the crown princess to ensure peace between the two nations. By that time, LCY had full control of the dynasty - happiness between them was possible. Those who did not catch the story, Ming Yuan's great grandfather was also murdered by Danchi's King <--- XF's grandfather. The difference was that Ming Yuan was able to forgive and put the two nation's peace above herself. Totally agree with above! I understood CP’s stand... they had to withstand all that was going on around them. The princess should’ve been less selfish but instead forgave GJ easier than the prince who really loved and protected her covertly many times. He had to do a lot of “cruel things” to her to protect her. Ihate thecending. Ibwant happy ending becoz our life in realirty too much streesed thats why i want happy endinh. This drama has traces of the King's Woman except done and executed better. While they don't have the bigger star power of ZBB and DLRB, both couples exude amazing chemistry. The costumes and sets are stunning. But it was the fantastic theme songs that really carried the scenes in my opinion. I am inclined to think that if you don't need to pay as much to your lead stars, then money can go into creating a better quality production, such as in this one. So the Chinese government might have a point in putting a cap to stars' salary and allowing lesser known stars the chance to play lead roles. However, I don't understand why XF has to die if not only for dramatic flair (in spite of the novel end). When she was rescued by Ah Du from the fall, I had thought they were having a happy ending. And she had understood after that war is inevitable between kingdoms, even his brother wants to go to war. She should have understood why LCY had made those decisions and actions in the past. And would it not be for the good of all to go back and take her place as his wife in order to maintain peace between the 2 kingdoms? And how sure is she that by her death they will maintain the peace? Isn't it being alive provides more guarantee to promote peace than dying? If she loves him so much as she has shown till the end, isn't it easier to free herself and indulge in that love rather than be miserable without him? It just feels like a senseless death to me... and I don't understand her rationale in doing so. She could have stayed put and grow old, but why die? And to be honest, LCY is not ruthless compared with Qin Shi Huang. He would have died with her if she didn't say her last wish is for him to stay alive. And in one scene he did say he chose her over his kingdom. I will miss PXR and CXX. I wished there was a second ending if only for fans to indulge in a happier ending. I hope they will have another drama or movie, as they have the right chemistry. Both stars own their roles and are excellent actors. finally someone has the same thoughts like me. this drama's main point is to win "best tragic ending" drama, not "best problem solving". feels like watching two different dramas, the sweet scenes means nothing and the ending means everything. Given that the guy killed her grandfather and forced her into watching her shifu die, I don't think she'll be able to have a happy life with him. I think it was already established early on, when the grandma said killings between royalties happen due to war. And as to her Shi Fu, she should have known she married a powerful guy, and would be King so he will definitely not take it sitting down seeing the wife in love/ wanting to leave with GJ. If there's anything, she is not cut out to live the life in the palace. But she is destined to be, having been born to royalty. Just finished ep52. Too sad to comment further about the ending as the above mentioned comments are also some of my thoughts. Chen Xingxu aged 22 only has a lot of potential because he can carry a leading villainous role convincingly and at the same time can have a devilish charm and be loved on screen. I think he got the role as GuXiaoWu/Li Chengyin in Goodbye My Princess was because he played Yang Kang so well and memorable in Legend of the Condor Heroes 2017 version, he outshone the actor who played Guo Jing. In fact, he has now acted with Yang Kang v.1983 - Michael Miu and also Yang Kang v.1994 - Gallen Lo, in CXX's most recent 2 dramas. 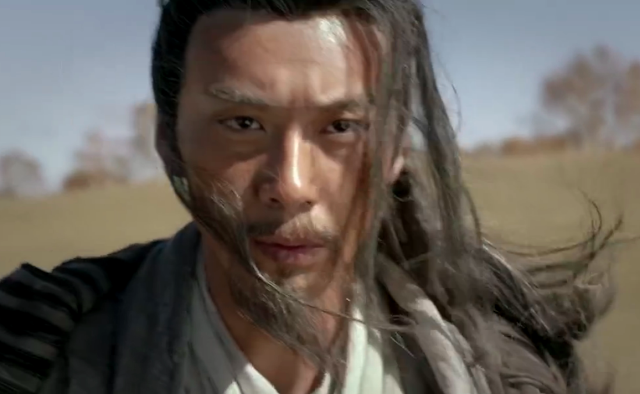 Well it wasn't a repetition but he played an even heavier and colder role than Yang Kang. Peng Xiaoran has also played XiaoFeng really well. She's so pretty like the younger version of Cheung Man. Nowadays hardly any C Drama new actresses can cry like her without overdoing it. CXX was maybe even 20 when he filmed this, since production started in August 2017. He is more impressive than a lot of the popular young stars out there.